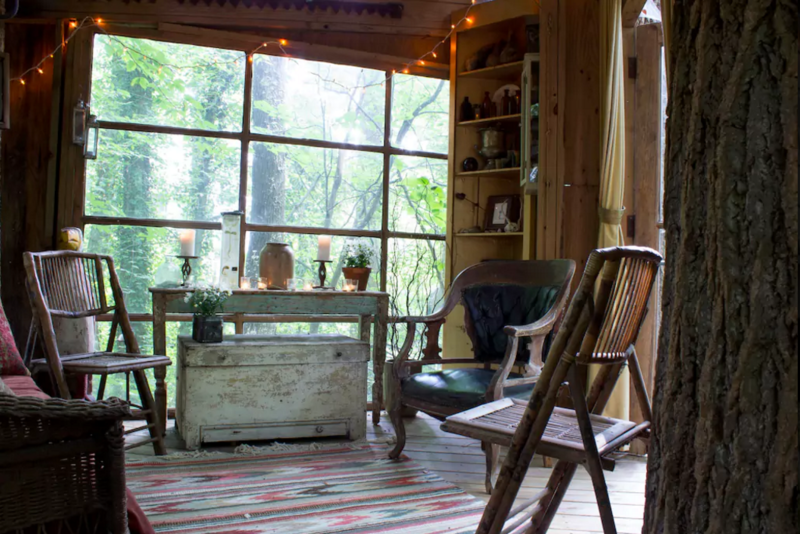 Airbnb is undeniably the world’s best resource for unique accommodation experiences but, surprisingly, its most popular listing isn’t a sprawling mansion on the Mediterranean or a cave you can stay in. 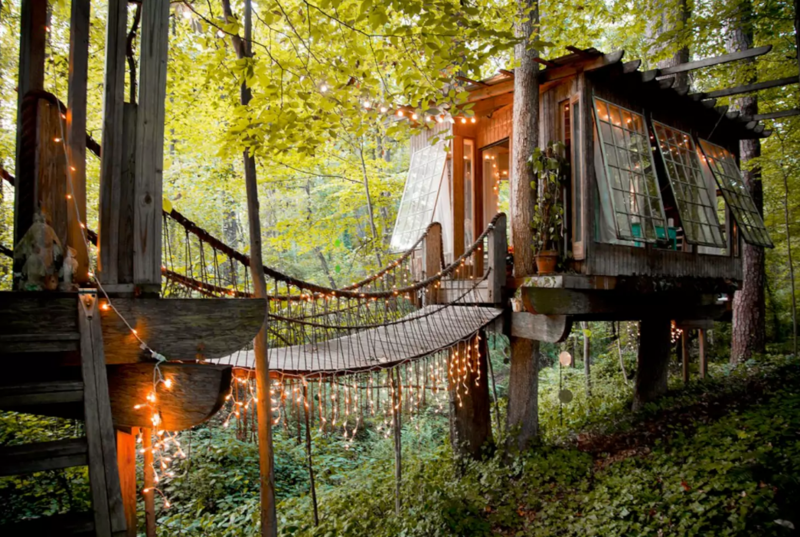 Rather, it’s a dreamy treehouse in the US state of Georgia — and it has a 12-month-long waiting list. 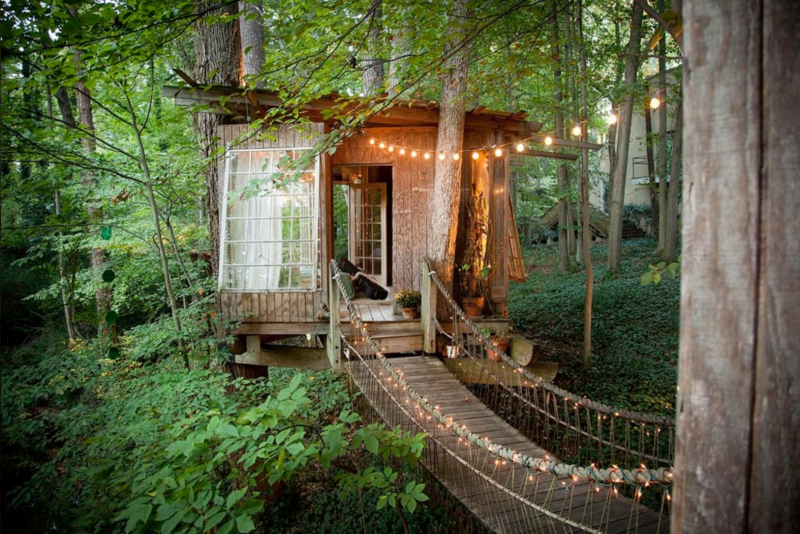 Boasting three rooms connected by rope bridges and antique furniture, the home-sharing site has revealed the Atlanta property is on the receiving end of more than 300,000 site visits per month and consistent five-star reviews, while more than 150,000 people have saved it to their wish lists at the time of writing. If you’re one of them, you best plan ahead – it’s so popular, the next available bookings in 2018 are reserved for those who’ve already wish-listed the property, while the first available weekend won’t come until July 2019. 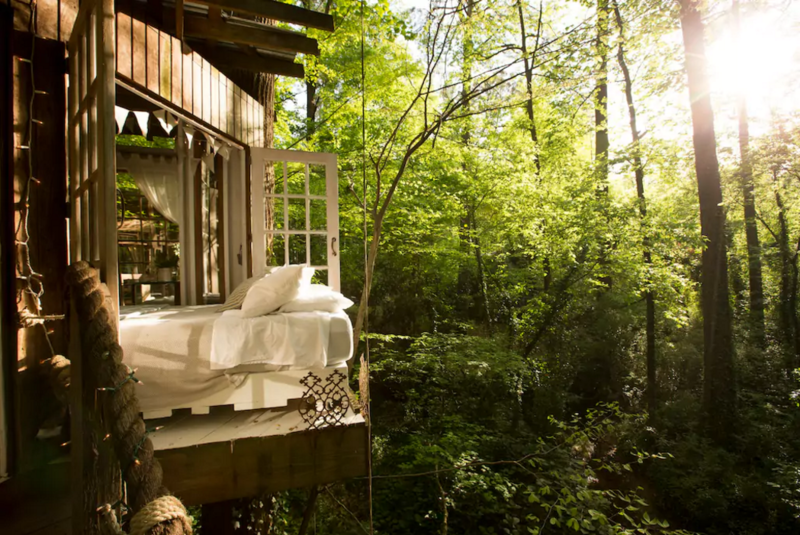 Owner and environmental activist Peter Bahouth built the treehouse almost 20 years ago, but he never considered sharing it with the world until Airbnb came along (rude). 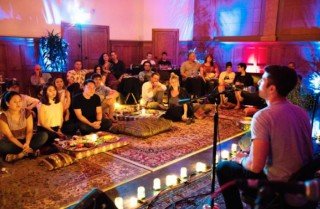 And, aside from occupying the bucket lists of several thousand travellers, it’s since played host to wrap parties for Hollywood blockbusters like The Hunger Games, along with weddings and many a romantic proposal. 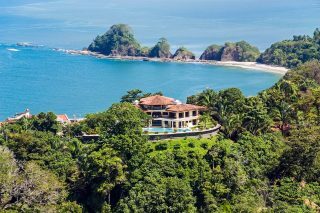 Bookings start from $487 per night, with space for two guests. The best part is that the bed’s on wheels, so guests can literally sleep under the stars if they wish. Check out Qantas flights to book your next adventure in Atlanta.